Just released is the third and final volume of the oversized illustrated biography of cartoonist Alex Toth, Genius, Animated: The Cartoon Art of Alex Toth. This last volume concludes what is surely one of the finest and most ambitious art biographies of any cartoonist to date. Measuring approximately 13” x 9.5”, these lavish volumes tell Toth’s personal history in his own words—as well as those of colleagues and family (who cooperated with the author)—and includes extensive reprints of his art (original, printed and unpublished), full stories, photographs, etc. The book includes numerous reminiscences and tributes from contemporaries and modern masters. The first volume, Genius, Isolated (2011, reviewed here), focuses on Toth’s early years, through the 1950s, when he was a journeyman cartoonist. Though much of this work was for romance comics for small publishers, it was during this time that his art style and philosophy jelled and others began taking notice. The second volume, Genius, Illustrated (2013), covers his work from the 1960s, through his death in 2006. During this period, Toth settled in California, where he continued working as a freelance cartoonist and dabbled a bit in Hollywood. In his later years, he remained an admired talent, but the volatile Toth worked sporadically and only on his own terms. (The closest he came to a signature work was his outstanding Bravo for Adventure, which captured all his interests and tastes. But sadly, he only produced two full Bravo stories.) He became a recluse in his Hollywood Hills home after the death of his last wife, Guyla, who was his lifeline into the everyday world, though younger artists who admired him continued to seek out his friendship and mentorship, and contemporaries tried to remain in touch. Towards the end, Toth found a measure of peace, reconciling with many old friends with whom he had become estranged over the years. The third and final volume, Genius, Animated, released earlier this month is an addendum of sorts to the first two volumes that covered the span of his life. This final volume exclusively covers his work in television animation, beginning in the 1960s and ‘70s, where he worked on some of the most seminal television animated shows of the era, including Jonny Quest, Space Ghost, Scooby-Doo, Super Friends, and many more. The fact that this whole volume is focused on his animation work is a tribute to his influence in the industry. Though Toth’s work was primarily with Hanna Barbera, he worked for many companies. 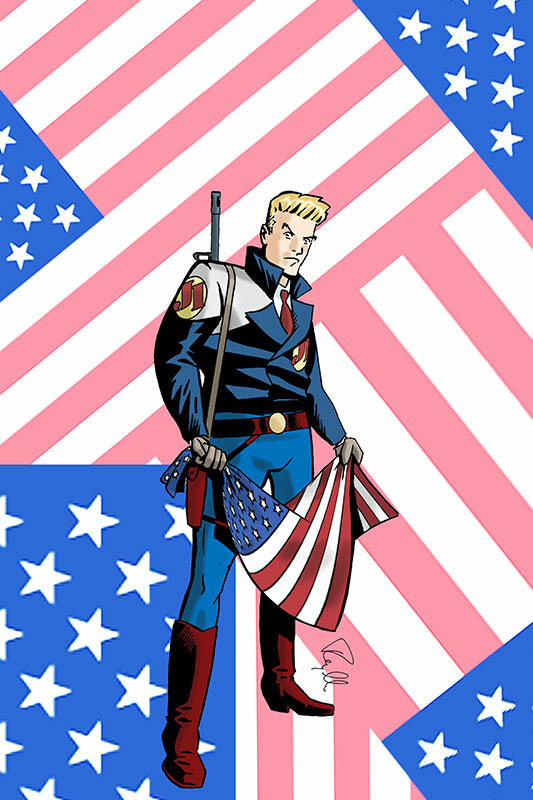 As in the comic-book industry, Toth could be difficult to work with, but he was indispensable, particularly at Hanna Barbera which benefited greatly from his ability to sell the networks on a series because he could quickly convey a concept, story and character through his presentation art. Aside from presentation art, Toth was a sophisticated storyboard artist and outstanding at character and set design. Plus, his photographic memory enabled him to work at a good clip. Given the quality of Saturday morning animation during that time—they were done quickly and cheaply, and many of the artists simply did not have the talent to adequately translate Toth’s work to the small screen—Toth was likely working at a quality level far beyond what was necessary or could be affordably or realistically replicated with limited animation. Nevertheless, the strength of his design work shone through well enough that it inspired a new generation of animators who grew up on his animation work and revered Toth before they even realized he was responsible for it. These artists would eventually enter the animation (and comics) industry themselves and bring new vitality to the medium. The first and most prominent of these was Batman: The Animated Series, which many fans credit as remaining one of the best Batman adaptations of any medium. The critical and commercial success of the series launched and spun off a whole slew of high-quality animated television in the genre. 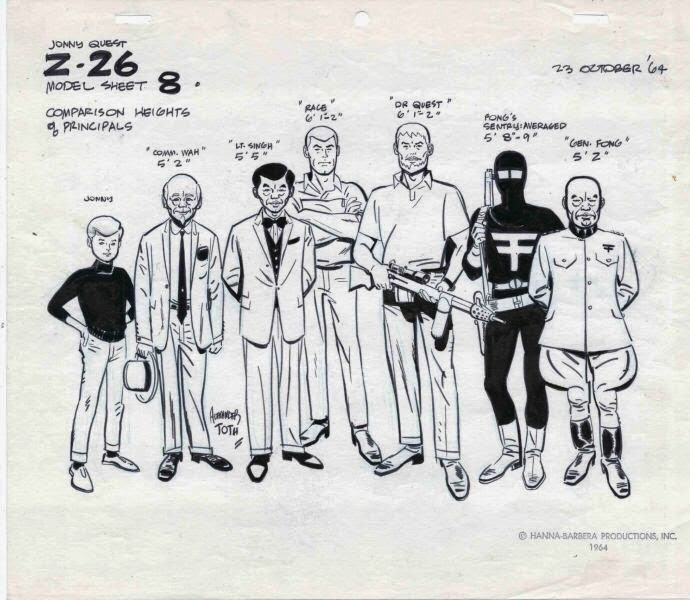 Toth, himself, was a fan and became friends with many of the animators associated with the series. 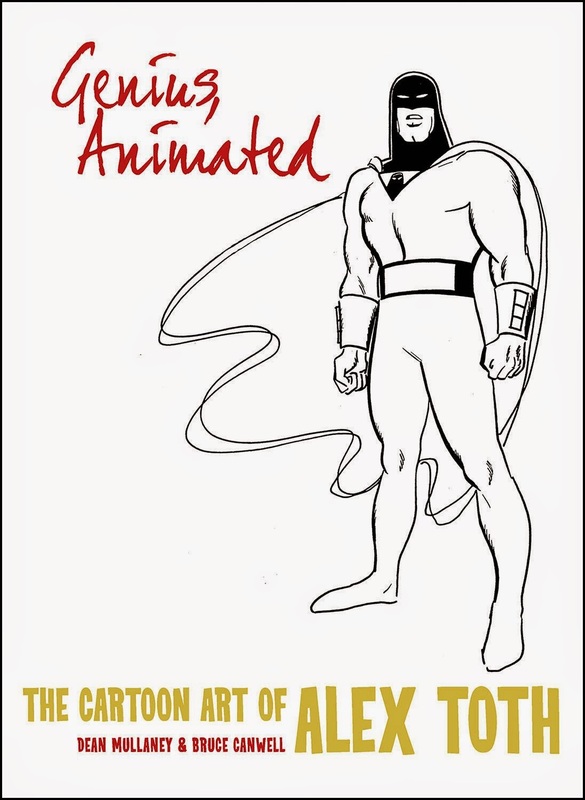 One interesting sidenote: In 1996, a massive collection of Toth’s animation work, including model sheets and storyboards, were published in a book called Alex Toth: By Design. Some of the pieces included in this book appear in Genius, Animated. I was fortunate to snag a copy when it first appeared and, like many artists, it has become an invaluable resource and inspiration for me in my own character design work for my comic-book series, Rob Hanes Adventures. The book is no longer in print and remains highly prized—a used copy goes for $250 or more. Though I haven’t confirmed it, my understanding is that the book did not get proper permission to reprint the pieces included in the collection, especially since they involve well known characters and properties. (Model sheets used to be considered useless and nothing more than fit for the trashbin after they were used.) Which doubly makes this book a valued part of my comics-related book collection.